The historic rivalry between Singapore and Malaysia was renewed yesterday (7 Oct) at Kallang. In what was the first international football match of 2016 at the Sports Hub’s National Stadium, about 25,000 fans turned up for the Causeway Challenge, to cheer the two sides. In the end, they were treated only to a goalless draw. Team Singapore’s coach V Sundramoorthy said that he was happy with his boys’ performances. But one sports commentator felt that Malaysia were the real winners of the Causeway Challenge. Soccer on both sides of the causeway have been dominated not just by soccer players, but also by politicians. The Causeway Challenge was no different. The current President of FAS and former MP, Zainudin Nordin, was there. Besides him, Minister for Social and Family Development, Tan Chuan-Jin, and MP Baey Yam Keng were also present. 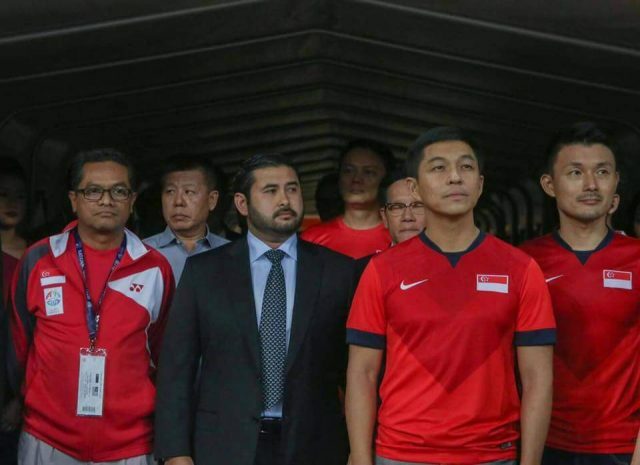 The Crown Prince of Johor, His Royal Highness Brigadier General Tunku Ismail Ibni Sultan Ibrahim, was at Kallang to cheer the Malaysian side on. 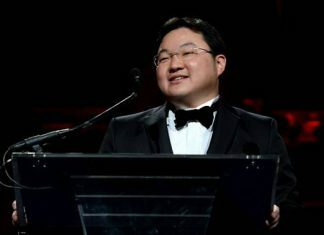 The Prince is the owner of the Johor Southern Tigers Football Club. But what has caused some people to be amused is a picture by Singaporean football manager, Venga. He captioned the picture ‘lol’ (laughing out loud). Last year, the FIFA said that the Football Association of Singapore (FAS) should end third-party influence in the Association, even if that third party is a government ministry. FAS acceded to FIFA’s request. It is believed that Venga will field a team to contest in the upcoming FAS Annual General Meeting. The current President of FAS is former Member of Parliament (MP) Zainudin Nordin, who was also the MP for the Bishan-Toa Payoh GRC. The AGM which was to be held two weeks ago has been postponed to another (yet to be confirmed) date.